Laura Flory of Hillside Farms, a Red Wing Software customer, shares some great advice and experiences about keeping a family farm on track, in the August 7, 2016, issue of Progressive Dairyman. In the story “Becoming the ‘A Team’: How a consultant′s repeated advice got our farm back on track”, Flory explains how a person′s roles, responsibilities, and expectations make such a difference within a farming organization. 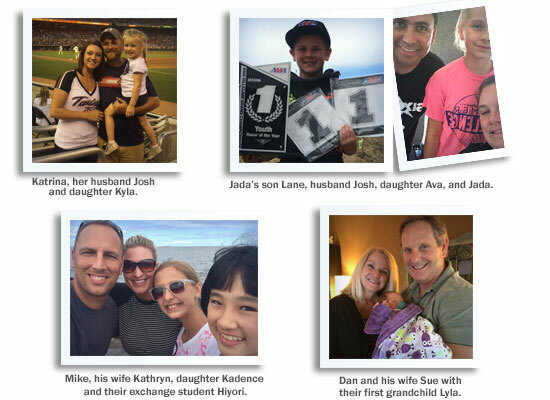 Katrina (Administrative Assistant), husband Josh and daughter Kyla enjoyed a Minnesota Twins Win!! It was Kyla’s first Twins game. Chad (Sales), his wife Rachel, and son welcomed the birth of their beautiful daughter Remi on July 21st. Congratulations to all. Mike (QA Manager/Project Manager), his wife Kathryn, and daughter Kadence on the shores of Lake Superior with their foreign exchange student from Japan, Hiyori, who was with them for a month. Jada (Support Technician) and her family Josh, Ava and Lane went on a road trip this summer that included a visit to the St. Louis Arch and the Hillclimb Nationals in Illinois which Lane participated in. He won two national championships, a second place, and the youth racer of the year award! Funny thing is he’s not afraid to speed up those hills but was too scared go up in the Arch. Dan (Design) and his wife Sue became grandparents for the first time to beautiful Lyla! Congratulations to all. Julie (Sales Engineer ) and her sons participated in a 70-mile bike ride in Boulder this past weekend. The ride is called the Bstrong ride and benefits the Boulder Community Hospital for Integrative Care which services cancer patients. Proceeds from this weekend ride will fund the center for an entire year. It is also benefits the George Karl Foundation. September may seem like a strange time to talk about budgeting for your business, but actually, any time of year is a good time to review how your business is tracking against your projections. Whether it’s planning for next year, or comparing this year’s results to what you were planning, looking at your actual numbers compared to your business plan for the year should be something that happens on a regular basis. To illustrate, I’ll use a couple Red Wing Software examples of why this is important. Each manager of their respective department is responsible for creating their budget for the coming year. Of course, not only expenses are projected, but revenue is also part of the budget. For example, each salesperson puts together the sales goals that they expect to achieve on a monthly basis, and how they expect to achieve those goals. Sales numbers are then measured throughout the year on a daily basis so we are aware of how we are performing compared to our projections. If sales numbers are not what we expected, (either lower or higher), it is important to know the reasons and react quickly to any discrepancy. Of course if sales numbers are higher than we expected, we want to know why, and keep making decisions that ensure continued success. On the expense side, you obviously want to make sure you are not spending money that was not budgeted without a serious look as to why these expenses were increased. Also, and this may sound strange at first, you want to make sure you are spending all the money that is budgeted unless there is a good reason for not spending it. For instance, our Marketing Manager budgets to spend a certain amount on very specific items. Whether it’s advertising, trade shows, web presence, travel, or any number of other things, it is important to stick to this plan. If marketing dollars are not spent as planned, the result could very well be a decrease in revenue. It can be a delicate balancing act. We are fortunate at Red Wing Software to have seasoned, experienced managers and staff that are very good at planning for their respective departments, and our revenue and expense numbers are typically within two percent of their projections. I believe with practice, discipline, and timely analysis, most businesses can be equally accurate in their planning process. 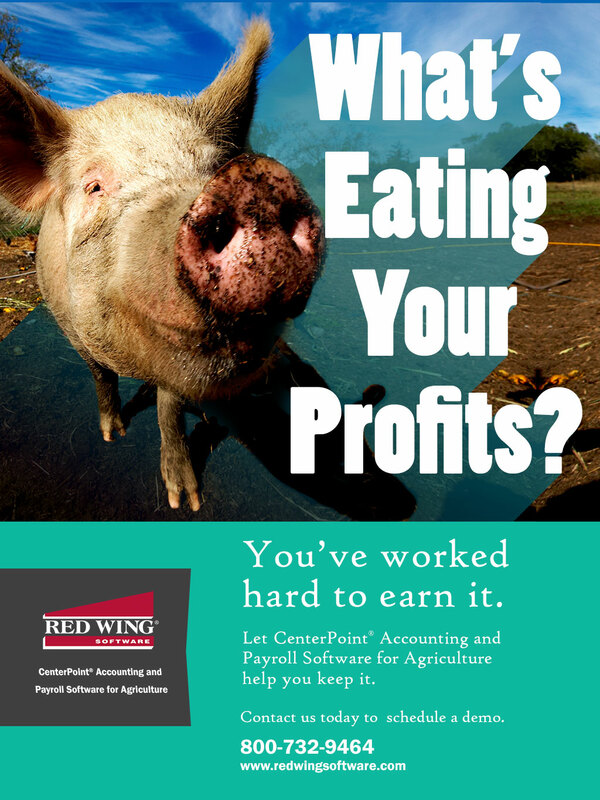 CSA Software Solutions is a partner of Red Wing Software that sells and supports CenterPoint Fund Accounting software. The two companies team together, helping cities in the southern U.S. improve and streamline their accounting and payroll. 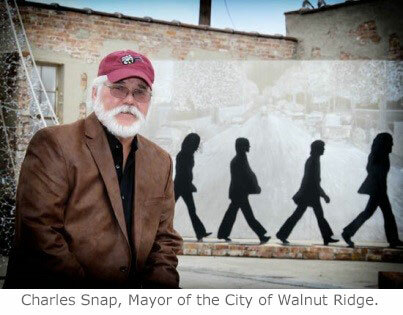 Recently, CSA received a story of success from customer Charles Snap, the Mayor of the City of Walnut Ridge. Here Mayor Snap shares his story. “I wouldn’t want to do without it, that’s for sure!” Eugene Glock will tell you he is a lucky man, but what he might not tell you is that the financial information for his farms and entities is meticulously organized, and because of this he is keenly aware of which areas of his business produce his highest profits. 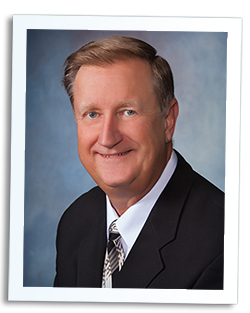 While Gene is a humble man, he is the poster child for smart farm accounting, and for using CenterPoint Accounting for Agriculture to its fullest capacity. Maybe it’s not luck after all!